The true identity of my natural hair colour is a secret that stays between me and my hairdresser. Or, is fairly noticeable underneath all my glorious honey-coloured highlights. These dark brows however are all my own. 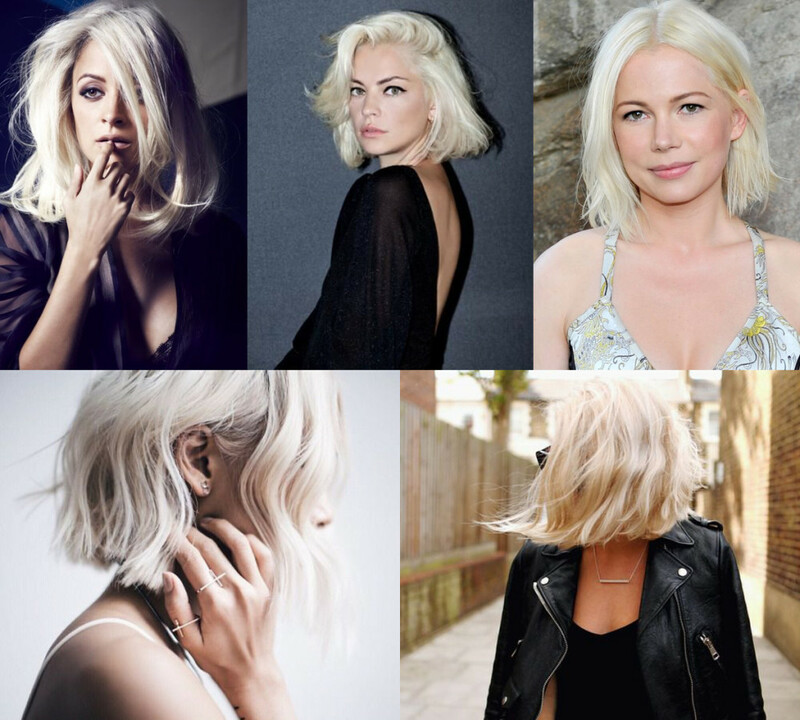 Which leads me to my big question, can a fair-skinned and dark-browed gal rock a super, super blonde do?! I am extremely fair-skinned, pale, translucent with a tinge of yellow, you get the picture, so am terrified that this whiter than white hair colour would make me look like death. But I haven’t let that worry stop me from browsing the best shades and styles on Pinterest. Although I imagine I’d have to heavily invest in some highly-pigmented blusher. The fact that Kristen Stewart is rocking the super-blonde do at Canne is making me crave the change even more. I mean Michelle Williams can work it. Nicole Richie can work it. Jennifer Lawrence can work it. This gives me hope. And would guarantee total grey hair wipeout. Bonus. The upkeep on the root situation would be a potential nightmare, especially as I’m sure my roots have a constant vendetta against me. Add to that the fact that I’ve never coloured my entire head before, instead always favouring for half a head of highlights. And do I really want to do this a 16 months before our wedding? Who knows. I don’t have the answer to that. But that’s not going to stop the Pinterest browsing. I can be sure of that. Images, clockwise from L – R: 1, 2, 3, 4, 5.